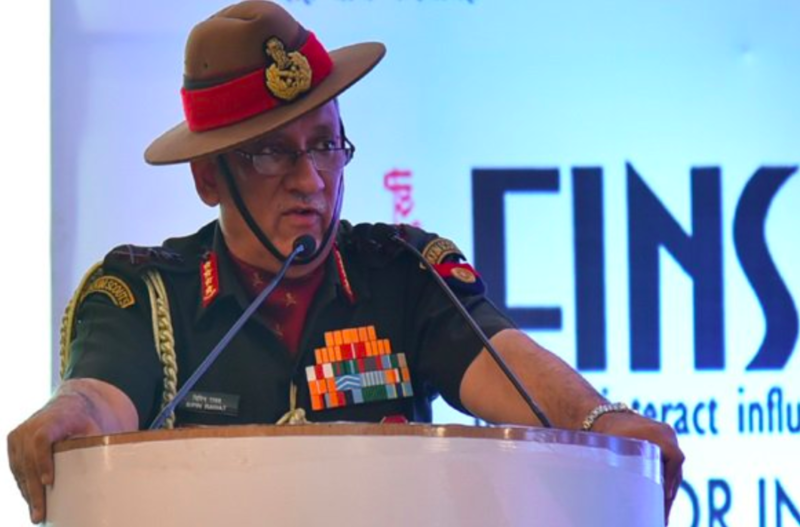 Chief General of the Indian Army, Bipin Rawat on Sunday at the National Conference on ‘Self Reliance in Defence Manufacturing’ emphasized that it is high time to focus on incorporating Artificial Intelligence (AI) and big data into the Indian Armed Force’s system. He also stated that the nation’s northern rival, China was spending “huge money” on this technology. Addressing crowd at the valedictory function, the army chief also said rapid advances in technology necessitated the incorporation of the industrial sector into defence manufacturing. Talking about the future, how tech will be part of the warfare, he also stated that in the future there will be a time when apart from guns and rifles, the nation will witness a lot of non-contact warfare and they are going to be fought in the cyberspace. It is high time to start understanding the relevance of AI and Big Data computing and how to incorporate this in into the defence system. Furthermore, the army chief has also put light on the equipment requirements of the defence forces — equipment that can help in deep viewing adversaries’ territories. “We have to understand that we have disputed land borders on our northern frontiers, partially unsettled borders on our western sector. So, we don’t see peace on the horizon anywhere in the near future,” said General Rawat. He said Indian armed forces have to be ever prepared by imbibing new technologies, keeping pace with the advancements in warfare. The need of the hour is things like drones, unarmed vehicles, remotely piloted vehicles etc. India already has satellite-based equipment; however, they are not adequate enough to keep continuous surveillance. The Army Chief has also said that from weapons to equipment to ammunition, India imported approximately 60% of its defence needs. Therefore, it is the time that the nation starts looking at inwards as importing is expensive and India cannot always rely on that. Chief General of Indian Army, Bipin Rawat on Sunday at the National Conference on ‘Self Reliance in Defence Manufacturing’ emphasized that it is high time to focus on incorporating Artificial Intelligence (AI) and big data into the Indian Armed Force’s system. He also stated that the nation’s northern rival, China was spending “huge money” on this technology.